Rajasthan as per the Hindu mythology, the Rajputs are Kshatriyas, or the warrior class of Vedic India. The rajuts rose to the peak of their power around 6thto 12th century. The earliest Rajputs, who ruled Rajasthan in 640 AD, were the Gurjar Pratiharas. By the end of 7th century, Rajputs had consolidated themselves as a formidable force and the region was in their firm grip. This paved way for extensive development of Rajasthan. There were several Rajput clans, like the Sisodias, Rathores, Chauhans, Kachhwahas and Bhatis, who empowered Rajasthan considerably, economically, socially and militarily. The Rajputs also contributed to the architectural heritage of the state, constructing some of the finest forts, palaces and monuments in the region. The 12th century witnessed invasions by Islamic invaders like Mohammed Ghori. In the battle of Tarain, Ghori was killed by Rajput ruler Prithviraj Chauhan, despite defeating Chauhan in battle. Even the Mughals recognized the Rajput valor and fostered alliances with them, despite defeating them in battles. Mughal emperor Akbar himself married Rajput princess Jodha Bai, the daughter of the Maharaja of Amber. Under his rule, Rajput princes held high offices and he maintained very cordial relations with Rajputs. Maharana Pratap was a legendary Hindu ruler of Mewar who offered a daunting challenge to Akbar’s supremacy. In popular Indian culture, Pratap is considered to exemplify the qualities like bravery and chivalry to which Rajputs aspire. When the influence of the Mughals started waning, Rajputs reasserted their power and dominance but that was to be short-lived. The Pindaris and the Marathas soon attacked the Rajputs of Rajasthan. Later, when India came under the British rule, Rajputs maintained local autonomy while agreeing to British sovereignty. When the country got independence in 1947, the erstwhile Rajput kingdoms and British provinces were merged to form the state of Rajasthan as it stands in its present form. Upon your arrival in Delhi, your transfer fromAirport or your hotel and transfer to the Hotel. After check-in proceed for half-day sightseeing tour of Delhi. Delhi some of the city’s cultural landmarks like the Red Fort, Chandni Chowk Bazaar and Khari Baoli spice market on your way to visit Jama Masjid. One of the largest mosques in the world and the largest in India, it was built by Shah Jahan to dominate the city. Then, make your way to Raj Ghat, a memorial built to commemorate the site of Mahatma Gandhi’s cremation. Continue on with a visit to the UNESCO World Heritage-listed Qutub Minar, India’s tallest minaret, made of red sandstone and marble and inscribed with verses from the Qur’an. Stop next at Humayun’s Tomb, another UNESCO World Heritage site, tomb of a Mughal emperor dating back to the 1500s. Next, pass under the high stone archway of India Gate – constructed in the memory of Indian soldiers who died in World War I – and drive along Rajpath (King’s Way), the ceremonial boulevard heading toward Rashtrapati Bhavan, official home to the President of India. Over Night in Hotel. After breakfast at your hotel, drive to Agra an approximate four-hour drive. On arrival check-in at your hotel, After proceed for sightseeing of Agra. First, visit the Taj Mahal, a UNESCO World Heritage Site and one of the Seven Wonders of the World. Constructed from 1631 to1651 by Shah Jahan as a memorial to his third wife, Mumtaz Mahal, the domed mausoleum – built from white marble – is considered one of the most extravagant monuments ever built for love. 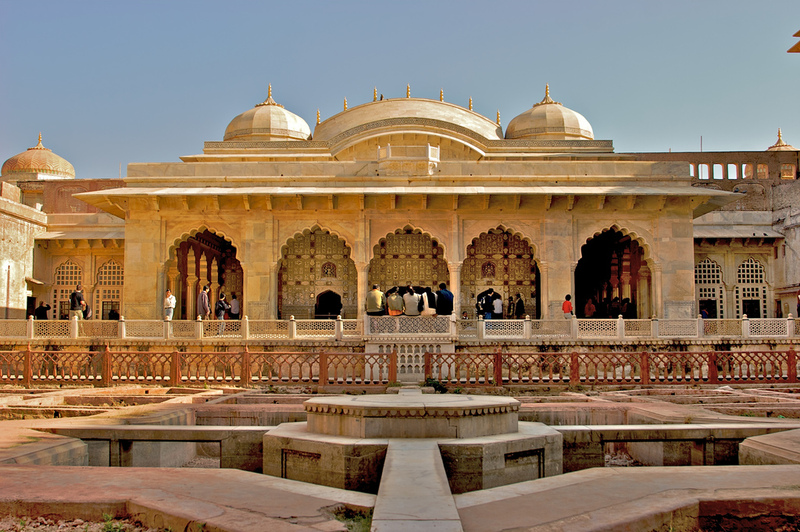 You will see Mughal architecture – a style borrowed from many traditions including Islamic, Turkish and Indian. 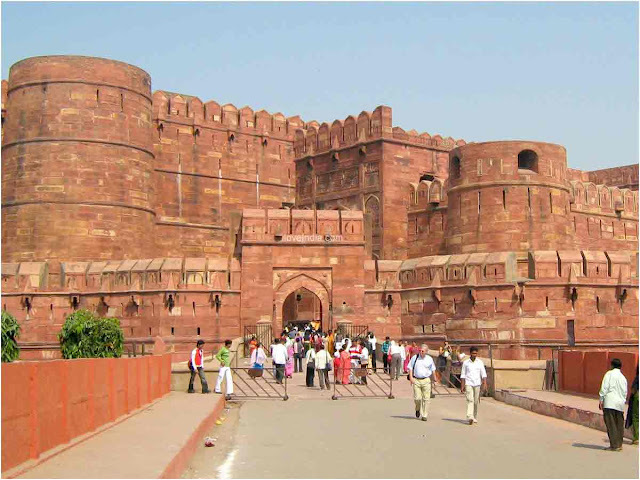 Next, head to the 16th-century Agra Fort, built by Emperor Akbar on the banks of the Yamuna River. Admire its construction from red sandstone and its intricate design combining both Islamic and Hindu architectural styles. Explore the complex to see the beautifully constructed rooms like the Diwan-I-Am (public audience hall) and the Diwan-I-Khas (private audience hall), added by Shah Jahan. Your city tour ends with a visit to the Tomb of Itmad-ud-daulah (more commonly known as the Baby Taj), built between 1622 and 1628 by Empress Nur Jahan for her father. Admire the marble trelliswork and precious stone inlay of the mausoleum, situated on the opposite bank of the Yamuna from the Taj Mahal. The strong Persian influence on the monument’s design – the first tomb in India entirely made out of marble and often described as a jewel box! Evening free for shopping etc. Overnight in Hotel. Enjoy breakfast at your hotel, followed by an approximate five-hour drive to Jaipur. En route, visit the UNESCO World Heritage red sandstone complex of Fatehpur Sikri, built in 1569 by Emperor Akbar and abandoned 15 years later due to water scarcity. Take a walk inside the walls of the complex as your guide enlightens you about the Hindu and Muslim architectural style of the sprawling construction, including Jama Masjid, Tomb of Salim Chishti Chisti, Panch Mahal and other buildings. Afterward, continue to Jaipur and check in at your hotel upon arrival. With your evening free to spend at leisure, or stroll the local market. Over Night in Hotel. Your day in Jaipur begins after breakfast drive to Amber Fort. Feel like a maharaja from the past as you ride up to Amber Fort on an elephant outfitted with traditional Indian draperies! 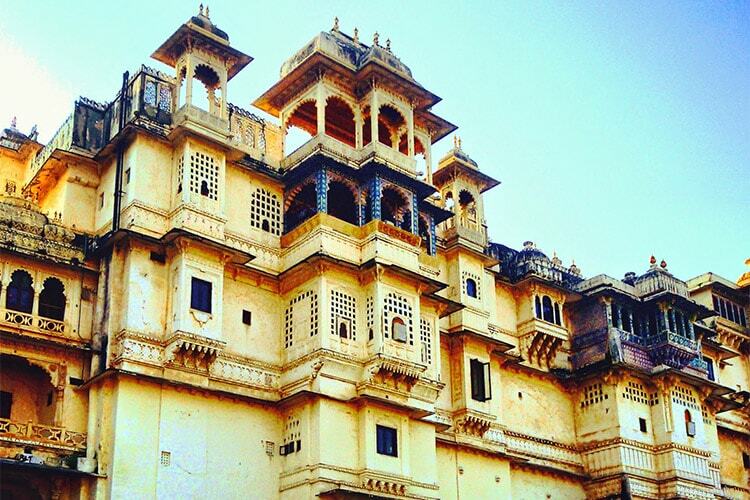 As you walk around the hilltop palace, constructed at the end of 16th century, learn about this excellent example of Rajput architecture. Admire breathtaking views of Maota Lake from the fortress as well as the palace’s ornate design and unique architectural elements. After lunch, enjoy an afternoon city tour of Jaipur, whose origins can be traced back to the 18th century during the reign of Jai Singh II. 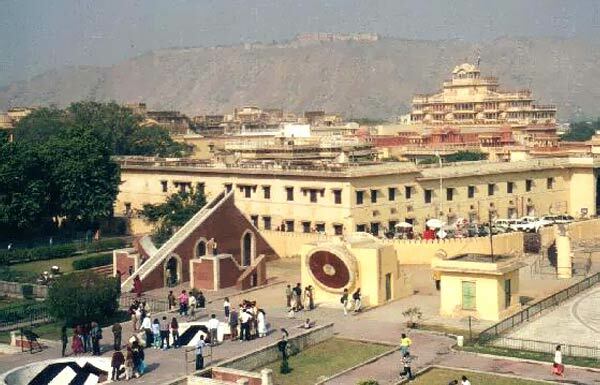 Prepare to look beyond the bustling metropolis to find its historical charm, such as the magnificent palaces, temples, lush gardens and pink plastered stone that gives Jaipur the popular name “Pink City.” You will starting with the City Palace with its fine collection of textiles, costumes and armor. Then, admire the exquisite Hawa Mahal, or Palace of the Winds, built to resemble the crown of the Hindu god, Krishna. Last, see Jantar Mantar, the extraordinary stargazing observatory built by the renowned astronomer, Maharaja Jai Singh, before heading back to your hotel. Evening Free. Over Night in Hotel. After breakfast drive to Bikaner .The genesis of the desert town of Bikaner dates back to Rao Bikas conquest in 1486 AD. Once a major center of trade in the 16th century situated on the ancient silk route, today Bikaner has retained much of its medieval aura. 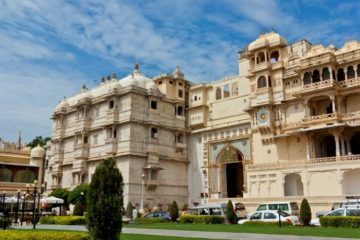 Upon arrival, check in at your hotel, after Proceed for sightseeing tour visiting the 16th century magnificent Junagarh Fort. Other places of interest include the famous camel breeding farm just outside the town (closed on Sunday). Overnight in Bikaner. After breakfast drive to Jaisalmer , the desert city. On arrival explore the jaisalmer. Overnight in hotel at Jaisalmer. After breakfast visit for a sightseeing tour of Jaisalmer. Begin at the Jaisalmer Fort, built in 1156 by Rawal Jaisal, atop the Trikuta hill. Still inhabited, there are palaces and bazaars within the fort walls. Also visit the havelis which are palatial homes with carved stone facades and owned by wealthy merchants. Other attractions include Ganga Sagar Tank and Museum, housing many small temples and shrines. In the afternoon, visit the Sam Sand Dunes. Take a camel ride on the sand dunes to view the sunset. The Rajasthani backdrop, the sunset and the camel ride make the entire outing an unforgettable experience. Overnight in Jaisalmer. Morning after breakfast drive to Jodhpur. 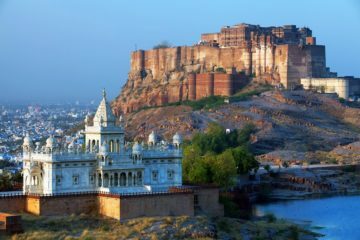 On arrival and check in hotel, after Proceed for sightseeing tour of Jodhpur beginning with the formidable hilltop Mehrangarh Fort. A series of gates named Jayapol, Fatepol, Lahapol etc. lead into the Fort. Visit the palaces located inside the fort – Moti Mahal or Pearl Palace, Sukh Mahal or Pleasure Palace and the Phool Mahal or Flower Palace. Continue the tour to visit the Jaswant Thada, a marble cenotaph built in 1899 as a memorial to Maharaja Jaswant Singh II. Overnight in Jodhpur. After breakfast drive to Udaipur . En route visit the intricately sculptured Jain Temples in Ranakpur that date back to the 15th century. Its 29 halls are supported by 1444 pillars, none of which are alike. Continue your drive to Udaipur and upon arrival check in to your hotel. Rest of the day. Overnight in Udaipur. Today proceed for sightseeing tour of Udaipur. 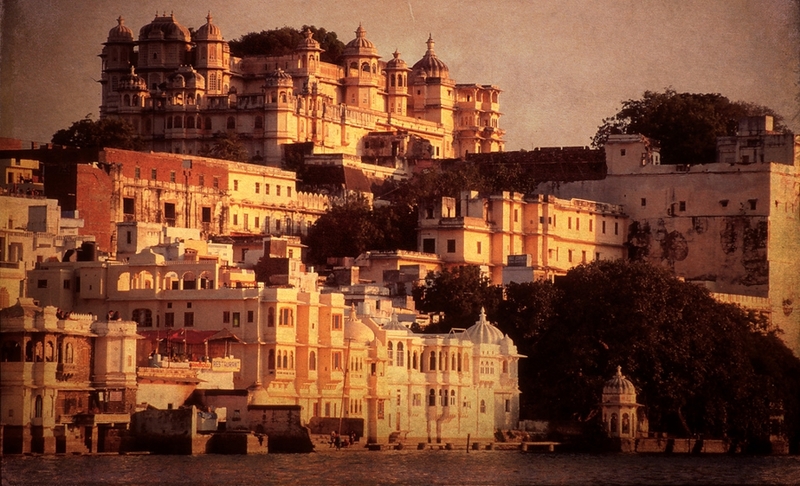 Founded in 1568 by Maharana Udai Singh, the elegant city of Udaipur is called the Venice of the East. Begin your tour with a visit to the City Palace with its mirrored walls, ivory doors, colored glass windows, inlaid marble balconies and peacock courtyard. Also visit the lovely Sahelion-ki-bari gardens, the Jagdish temple and the local Museum. In the evening, enjoy a motor launch cruise on the placid waters of Lake Pichola. Also visit the Jag Mandir Palace, a lovely island palace in the middle of the lake. Overnight in Udaipur. This morning check out from hotel and transfer to Udaipur airport in time to board to your onward destination.